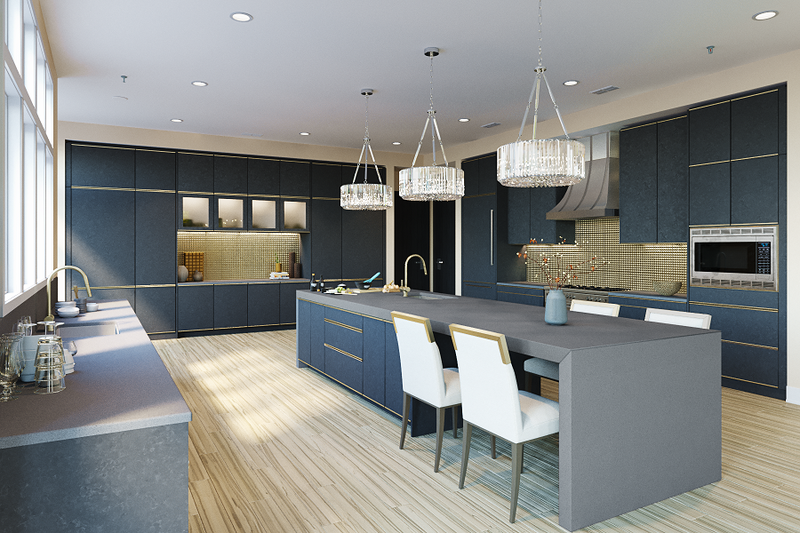 At Snaidero DC Metro we pride ourselves on helping our clients create timeless pieces of art that double as functional kitchens while staying on trend! PPG Color recently led our team through a ‘2018 Color and Design Trends’ course sharing the latest color palettes of four distinct client types — The Retreater, The Dreamweaver, The Commoner, and The Brave. For fun, we turned the PPG Color client types into design boards utilizing a carefully selected Snaidero color and finish for each type. 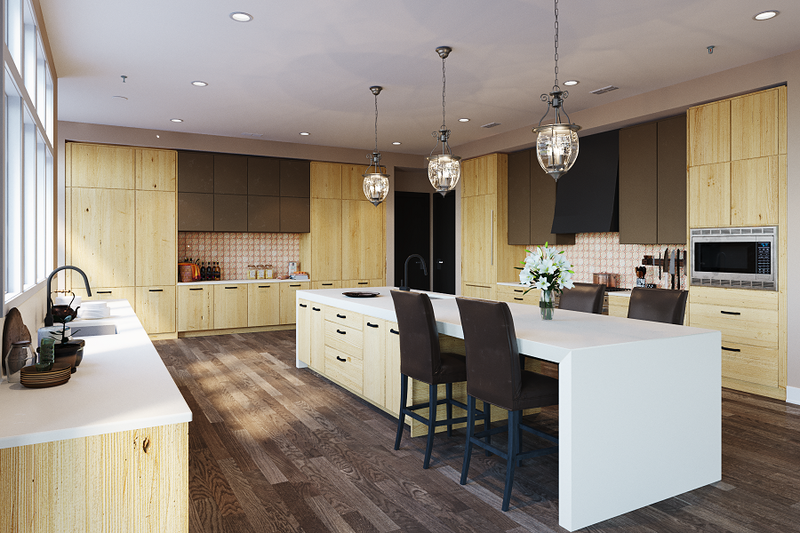 The resulting design boards were then shared across our social platforms and voted on by our followers with the winning design board claiming the title ‘Kitchen Of The Moment’. The winning board would then be elevated into a striking rendering. With the votes cast and tallied, the winning client type was crowned, The Retreater! We couldn’t stop with just the winner so we opted to have all the options turned into kitchen inspirations! Take a look at all four options and and judge for yourself which would be your ‘Kitchen Of The Moment’. The Retreater utilizing Snaidero’s SWEDEN BLUE matte lacquer finish cabinet door. The Retreater palette provides a mix of calming neutrals and warmer hues that set the mind at ease. The Dreamweaver featuring Snaidero’s SAHARA YELLOW glossy lacquer cabinet with chrome LUX handle. Playful to the core, The Dreamweaver style expresses an artful, bohemian and care-free spirit with a touch of glam. The Commoner staring Snaidero’s CAPPUCCINO matte lacquer + CANYON OAK matrix with NOLITA pewter handle. This ‘ultra basic’ and ‘unpretentious’ Commoner palette utilizes earthy and balancing neutrals. Speaking to a growing cultural shift that craves simplicity, The Commoner palette allows its client to be at one with nature. The Brave showcases Snaidero’s WAY CERAMICA door in OSSIDO NERO with a carbon fiber interior finish. This strong palette represents a theme of rebellion with a touch of glamour through the use of edgy, heavy, dark, military, and jewel toned colors.